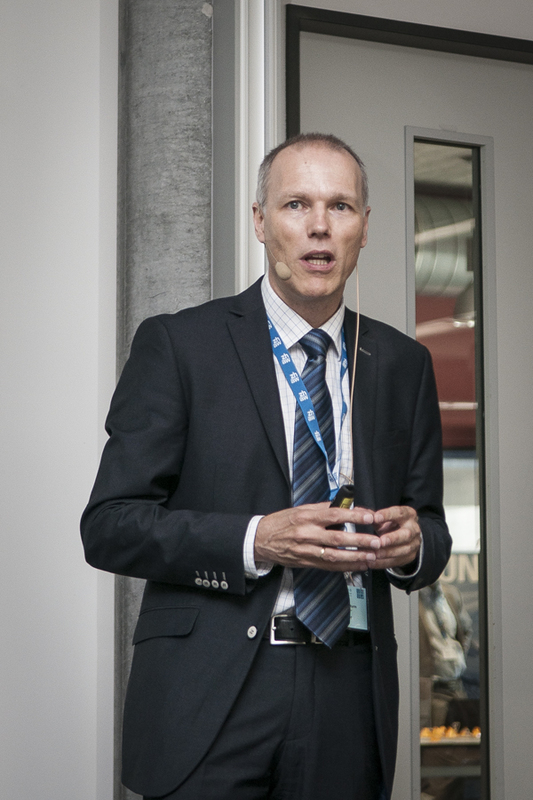 After having the workshop kicked-off by the President of ZHAW, Dr. Jean Egbert Sturm, Professor of Microeconomics & Director of KOF Swiss Economic Institute at ETH, gave an insightful keynote talk on The use of ever increasing datasets in Macroeconomic forecasting. 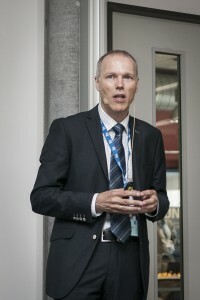 He explained to the audience the way to do economic forecasting using simple and standard analytical techniques. It was specifically very interesting for data analytics experts to see such a methodology that successfully uses down-to-earth analytical techniques integrated with in-depth knowledge of Economics. 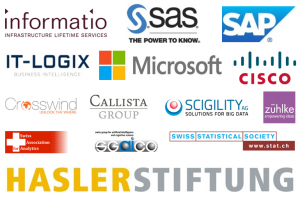 Following the keynote were talks covering a range of topics in Data Science, from both academic and industry representatives, for example, OpenData.ch, SAS Institute, Microsoft, ETH and others. Along with the main track, there was a parallel interactive track going on where data analysts were encouraged to bring their laptops and work hands-on with Twitter data on hot political discussions in Switzerland. The conference came to a closing with the 2nd keynote talk by Dr. Michael L. Brodie, Research Scientist and Entrepreneurial advisor from the Massachusetts Institute of Technology, USA. 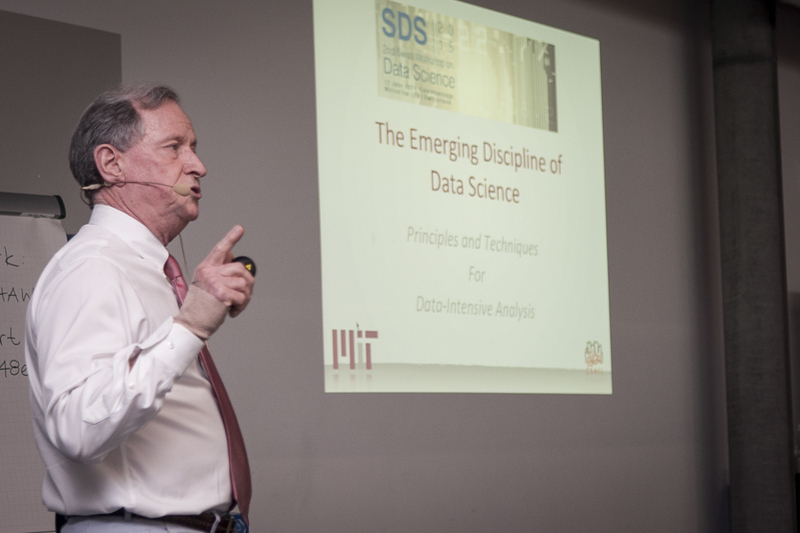 Dr. Brodie talked on The emerging discipline of Data Science – Principles & techniques for data-intensive analysis. He made the point that Data Science still has to be in considered to be in its infancy: The significant role of data in the modern society and its potential to change the economy followed by resulting a change in the society itself imposes certain risks that need to be taken care of. Dr. Brodie related the results from over 30 examined use cases in Data-Intensive Analysis and showed the coherence in the applied workflows, ranging from data curation to estimating the confidence in the results. He concluded with open questions to ponder in research and industry regarding how to mature our discipline. The conference concluded with an Apéro riche which gave the day a final finesse and a refreshing chance for the participants to network and socialize. The program details, link to the slides and the biographies of the speakers can be found on the official webpage of the conference. The presentations during the workshop were recorded and can be viewed on Youtube. We are immensely pleased with the huge participation of about 190 people and with the outcome of the conference. The athmosphere and meeting with colleagues from all over the country was inspiring, to say the least. This was made possible to a huge extend by the support of our sponsors. Nevertheless, we are already looking forward to organizing the 3rd Swiss Conference on Data Science to be held next year. We are currently looking for ideas on the choice of exciting locations as this years venue was quite packed. Suggestions to host the next workshop at any of your industrial premises or an offer to sponsor the event is heartily welcomed. Next year’s event will keep and enhance the community spirit of the past SDS events. Additionally, it will focus on technical and methodical depth and insightful talks from the practice of research and industry alike to help the growing community enlarge its field of view, enhance its spectrum and mature in its conduct. Please join us by suggesting ideas, submitting talks, organizing tracks etc. We are looking forward to meeting you! Many thanks to Amrita Prasad for co-autoring this post! Where is the Science in “Data Science”?